Our best wax dop stick, with the added expertise of the Crystal Ninja, Kellie DeFries! Use this to pick up rhinestones, crystals, chatons, etc. and set them in place, use the silver end to move them around and get them exactly where you need them and to help them attach to the adhesive even better! Some expert users have used ONE Crystal Katana to set over 300,000 stones! 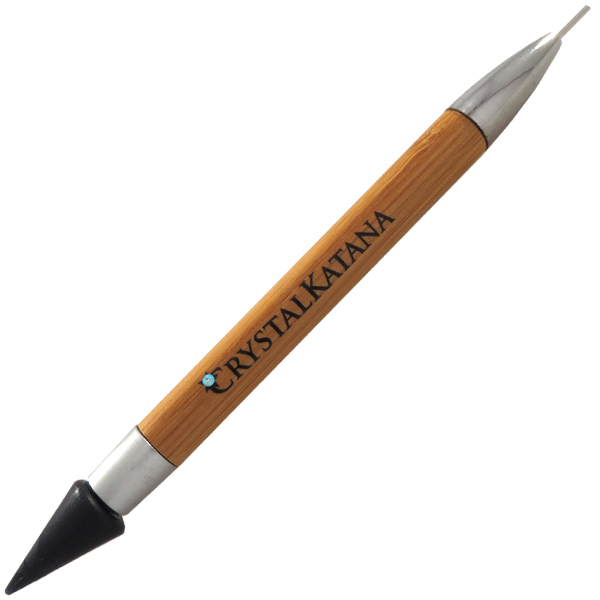 Save your frustration, your aching hands and your time by using this wonderful tool by the Crystal Ninja! This kit comes with Crystals 2088 ( SS12 - SS20 ) and Glue included. Best tool I have ever used!! Makes every project 10 times faster. No more tweezers and flipping stones across the room. 2 steps, 1 tool. Yay!! !